With so much to offer, Canada is impossible to dislike! It is a wonderful blend of French, British and indigenous traditions, which give the country a fabulous three dimensional character. It has so much to see and do that you could spend a lifetime there! Trek in the Appalachian foothills of Quebec or canoe on the Dumoine River. After all the fresh air and activity, relax and unwind in local hot springs. The team could get involved in conservation work with local Canadian rangers. Head into the wilderness on a Re-Wild Expedition! Contact us to find out more and to request a full destination brief. Iceland is situated in the North Atlantic Ocean, just south of the Arctic Circle. Its unique combination of glaciers and volcanic activity has made it renowned as the Land of Ice and Fire. There are several active volcanoes in Iceland and roughly an eighth of the island is an ice field. Climbing Mt Hekla (1,491m) is an interesting challenge as the track is ever-changing and fresh lava can be observed. Relax in the soothing waters of the Blue Lagoon. 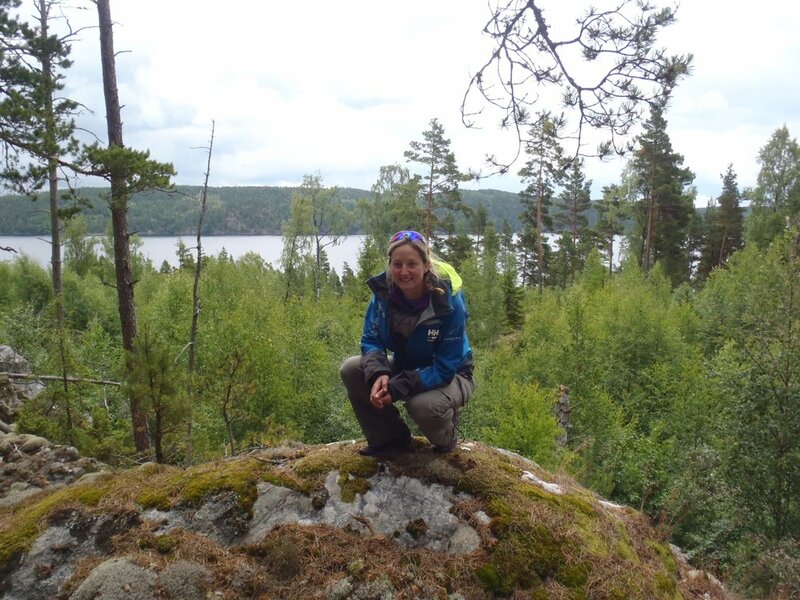 Sweden offers a truly prime location for wilderness exploration, into areas little visited by other tourists. Accompanied by expert local guides, the team can also learn about basic alpine and outdoor skills. From Gäddede, paddle a canoe through a network of inland rivers and lakes, sleep under tarpaulins and cook on an open fire. Trek into the Jämtland Mountains, sleeping overnight in mountain huts. Learn about the indigenous nomadic reindeer herding Sami culture – try a traditional lunch (moose!) and activities with a Sami guide. Or Contact us to find out more and to request a full destination brief. Borneo’s greatest single attraction is its vast tracts of unspoilt rainforest, amongst the oldest in the world and home to a bewildering variety of animal, bird and plant life. However this is not all that this amazing country has to offer. Attempt to summit Mt Kinabalu, the tallest mountain in South-East Asia. Relax on some of the picturesque, unspoilt and often near deserted beaches. Take part in a conservation project within a National Park or with a coastal conservation organisation. It is no wonder that this fascinating country is experiencing a tourism explosion; it has almost everything! Excite your senses at the colourful street stalls in Siem Reap selling an array of fresh and tasty food. A team can get a real feel for this amazing country by spending a few days walking from rural village to village. Previous expedition teams have built playgrounds in poor rural areas where the children have little other form of play. Vietnam has it all; a compelling history, a unique and diverse culture, magnificent scenery, welcoming people and culinary delights. Its history is littered with wars, colonisation and rebellion but this troubled past has lead to an enticing country with a fascinating blend of cultural elements. Vietnamese food is some of the best in South-East Asia and each region has numerous culinary delights which will stimulate your senses. Visit one of the many floating markets in the Mekong Delta and see how the locals buy their fruit and veg. trek through rice fields near Sapa and rest your weary head in the Vietnamese stilt houses. Contact us to find out more and request a full destination brief. Lao is Southeast Asia’s most unspoiled environment. Renowned for its intact cultures, and relaxed, chilled-out approach to everyday life. For the most part Laos remains untouched by the western world and is the perfect destination in which to really lose yourself. Four Thousand Islands – relax in a hammock where the mighty Mekong spreads out. Northern Laos offers tranquil landscapes and the opportunity to explore remote hill tribes. Teams could support eco tourism projects by working with local people to develop resources such as accommodation. Nestled between two giants of Asia this breathtaking country has a unique and captivating culture. This coupled with the jaw dropping mountain vistas and the warm, friendly people make it an attractive destination for an expedition. Nepal is home to 8 of the world’s 10 highest peaks. Trekking will involve following well trodden trails between rural villages and interacting with the local people. A team could research child poverty and provide help for children who have been forced into begging at a young age. Visit remote mountain villages and experience the Tibetan Buddhist culture in Namche Bazaar. India is a cacophony of sights, sounds, smells, and colours. This culturally dense country has so much to offer and you will experience a sensory overload as soon as you step off the plane! No visit to India would be complete without a visit to the Taj Mahal. Rise early to capture this awe-inspiring monument at its best before bartering for souvenirs in one of the many bazaars. Befriend a camel and go on a desert safari in Jaisalmer. See giant pandas! The mountains and forests of central Sichuan are their only remaining natural habitat, with a breeding centre in Chengdu. Mongolia offers a true wilderness experience for the expedition team. Nomads still roam the grasslands, travelling where the grass is greenest and weathering the harsh winters before moving on in spring. Hospitality is a way of life and spending time with a local family will be a real highlight. Get to know the locals and spend some time amongst a community, sleeping in gers. Travel along the Trans-Mongolian Railway. Teams are welcomed in by the friendly Mongolian people and their help and support at an orphanage summer camp would be invaluable. Discover spectacular mountainous scenery, vast open steppes, stunning architecture and a friendly and welcoming nomadic culture as you follow part of the ancient Silk Route through the Central Asian Republics of Kyrgyzstan and Uzbekistan. Trek in the Tien Shan mountains of Kyrgyzstan where alpine valleys are surrounded by soaring snow-capped peaks. Sleep in a yurt – enjoy a warm welcome from the famously hospitable nomads. Explore the beautiful mosques and teeming bazaars of the famous cities of Samarkand, Khiva and Bukhara. Work alongside local communities and get involved in helping with aid work or teaching. Romania is a captivating destination – from majestic castles, painted monasteries and medieval towns to the extensive Transylvanian Alps. It is a country of surreal contrasts as this former Eastern Bloc satellite state absorbs Western culture. Explore the stunning medieval Saxon city of Brasov and visit the so-called Dracula’s castle nearby in Bran. The Carpathian Mountains offer a varied landscape with soaring cliffs, deep, dramatic gorges, meandering rivers and lush alpine valleys. Community work with local schools or orphanages could involve teaching or doing sports with the children. Emerging late last century from years of communist isolation, Albania is an exciting new destination on the edge of Europe, with a wealth of fascinating history, a distinctive culture and beautiful scenery, from the Ionian coast to a rugged mountainous interior. Trek through the magnificent Albanian Alps, Albania’s wild and rustic northern frontier. Work alongside local people in schools, orphanages or conservation projects. Explore Albania’s rich culture and history, where classical sites and mountain citadels reveal its Greek, Roman and Ottoman heritage. We’re just updating our destination profile, watch this space! Morocco is one of the most colourful and culturally rich expedition destinations for any team. It is a blend of Africa and the Middle East and brings with it all the excitement and challenge of both. We have a long term link with a rewarding project outside Marrakech, where a team could provide vital help and support to the rural community school. Sample delicious tagines and hot sweet mint tea which are typical of Morocco. join a camel train and head off for a night in the Sahara Desert. From lush green forests to beautiful white sandy beaches, Ghana really will surprise you with all it has to offer. The welcoming people and easy, laid back attitude make Ghana a fantastic option for personal development in a unique and interesting country. A team could work with kindergarten or primary schools, helping the local people with all facets of school life. Take a drumming workshop on the beach! Uganda offers a mini African experience. It condenses the best that the continent has to offer into one small but beautiful destination. Uganda has everything that you could want from an expedition destination and is rightly described as ‘the Pearl of Africa’. You could get involved in the sustainable development of rural villages, helping to improve the quality of life and standard of living of the local community. Spend several days trekking through the legendary, mist covered Rwenzori Mountains. Barter for souvenirs at local craft stalls and relax amidst beautiful surroundings. Step out into the vast open plains that dominate much of Tanzania and you suddenly feel very small. It is East Africa’s largest country, stretching from the Great Rift Valley to the Indian Ocean, and the scenery is stereotypically African, with seemingly endless savannah teeming with wildlife. There is great cultural diversity in Tanzania, with over 120 tribal groups still in existence. Wherever you go, a warm and friendly welcome is guaranteed. Aim to reach the top of Mountt Meru (4,566m), Tanzania’s second highest mountain. Watch flamingos and other wildlife at the Ngorongoro Crater. Kenya has an abundance of magnificent wildlife, stunning scenery and intriguing people. It is no wonder that it is one of Africa’s premier destinations. Trek to Pt Lenana on Mt Kenya, the alluring ancient volcano that gives the country its name. There are more than 70 tribal groups in Kenya and you would be able to spend time living amongst one of them on a community project. Go on a safari in the Masai Mara National Park and see if you can spot the ‘big five’. Malawi is renowned for being one of the happiest nations in the world despite it being one of the poorest! Described as ‘the warm heart of Africa’ due to the genuinely friendly natives, you will be accosted with smiles at every turn. Explore the Nyika Plateau, an area resembling the Scottish Highlands with more exotic inhabitants. Visit Liwonde National Park, home to a wealth of hippos, crocodiles and elephants. You may even spot one of the rare black rhino! Work closely with rural communities to improve village facilities, help rebuild traditional homes, or teach any number of subjects and sports. Zambia consists of mostly road less savannah, and is rich in wildlife and artistic tradition. Despite being a popular destination for travellers of all kinds, Zambia retains its authentic feeling of a wilderness; wild, beautiful and slightly unpredictable! The people are warm and friendly and happy to share their customs and traditions with those willing to spend time with them. Go on a game drive and try to spot the big five. Trek through the Batoka Gorge with the mighty Zambezi River running alongside you. Nestled between South Africa and Mozambique, the Kingdom of Swaziland offers the very best of the quintessential African experience, with a famously relaxed atmosphere. Just next door is the Kruger National Park, a wildlife conservation area with outstanding game viewing. Projects are based in the Ezulwini Valley, working with a local initiative to improve the lives of orphaned and vulnerable children. Trek on a network of trails through the beautiful Malolotja Nature Reserve or the Ngwempisi area. Camp by the Sabie River in the Kruger and enjoy game drives in search of lion, leopard, cheetah, giraffe and elephant, to name a few! This is a spectacular country and a great ‘wilderness’ destination. Wedged between the South Atlantic and the Kalahari it offers visitors stunning wildlife, vast open deserts, rugged mountains, will seascapes and intriguing colonial cities. This sparsely populated, arid country is home to a number of tribal groups that still use traditional ways to survive. Explore the dunes at Sossusvlei or the coast in Swakopmund. Spend a week walking through the vast Fish River Canyon. The beautiful island of Madagascar is famous for its unusual and exotic wildlife, including lemurs, unique to the island. The landscape ranges from thick forests and mountains to open grasslands and a stunning Indian Ocean coast. Trek along trails through the beautiful Andringitra National Park. Work in a school or orphanage and help improve their facilities. Explore the busy and colourful street markets by ‘pousse-pousse’, the local rickshaw. Practice your French and learn some Malagasy as you get to know the friendly local people. An expedition to this beautiful country will offer the ultimate Central American experience and a brilliant opportunity for personal development. Nestled between the Pacific Ocean and the Caribbean, Nicaragua boasts a diverse range of environments and ecosystems. As the second poorest country in the Americas it provides many opportunities for worthwhile projects within local communities. Follow a trail into the rainforest learning about the medicinal qualities of the plants and animals that are there. Visit the extensive coffee plantations in Maragalpa or Jinotega. Costa Rica’s natural beauty is astounding and this coupled with the laid back pace of life and the extremely friendly locals makes it a very appealing destination! Visit the highly active Volcan Arenal. Ecuador is a country which offers everything an expedition team could want; a fascinating culture, warm and friendly people, wildlife, challenge trekking and plenty of adventure. Climb up to the ridges of Volcan Ruminahui’s central peak. Embark on an overnight jungle trip to some of the many rainforest lodges whilst keeping your eyes peeled for wildlife. Visit Mitad del Mundo (the Equator) and stand on both hemispheres at once! The area of Peru from Lima upwards is an ideal expedition destination in that the region has desert stretching out to the coast; the spectacular cordilleras of the Andes running down its spine and the rich Amazon rainforest in the north east. Visit ancient, pre Inca ruins in Chachapoyas and Chiclayo. Trekking opportunities abound in Northern Peru, which is home to a number of famous treks including the Santa Cruz circuit. teams can spend some time in the Amazon Jungle at Iquitos (the biggest city in the world with no road connections)! The country’s scenery boasts impressive contrasts including the Andean mountains, tropical forests, low-lying ‘pampas’ swamps as well as the bleak and bitterly cold plains of Patagonia. Spend a few days at the amazing Iguazu Falls. Trek in the Salta and Jujuy regions of the Andean Mountains which offer challenging treks, often along ancient Inca trails. Go horse-riding with local ‘gaucho’ horsemen and experience traditional Argentina first hand. Land of fjords, glaciers and long summer days, regular flights to Oslo give easy access Norway’s spectacular highlands, offering wilderness adventures with first class modern infrastructure. Head for Haugastøl, an ideal base for hiking through the surrounding Hallingskarvet and Hardangervidda national parks. Follow the Rallarvegen cycle path, following the outskirts of the Hardangervidda Plateau, it is a 3-day ride to Myrdal. Discover the tranquility of travel on water, paddling with Canadian canoes, wild camping each night. Self-esteem, communication, resilience, trust and collaboration are key elements of our Personal Development courses, designed to help students develop vital life skills in an inspiring and safe environment. We take great pride in creating a programme tailored to your specific desired outcomes. Whether you want a bespoke induction day for new students to foster teamwork, a prefect training workshop with a focus on leadership, or a 7-year Personal Development programme, our proven experience and professional trainers will deliver a course to support your goals. If you are looking for fresh ideas, our series of themed workshops makes a flexible and progressive framework for any learning focus or year group. Inspired by famous explorers, these Personal Development programmes are based on men and women who have forged into the furthest corners of the globe to advance human understanding and push the limits of their own potential. From the romantic adventures of Marco Polo, to fearless trailblazers such as Amelia Earhart and phenomenal leaders like Shackleton. The Explorers Series workshops will inspire your pupils to show up, set off, lean in and step up to the challenges which await them on their educational journey. Each interactive workshop offers a unique educational experience for pupils, which can be tailored according to your needs. Case studies focus on the endeavours of a chosen explorer and the personal skills they demonstrated during their adventurous feats, drawing lessons that are relevant to life today. Programmes can be adapted from 3 hours to a full day, and to fit around the usual school timings for assembly, lunch and break time. They can take place in school or off-site and we can deliver the workshops as a developmental series for each age group across an academic year, or as one-off training days to complement your extra-curricular programme.